Whether you’re having unexpected guests or you don’t have much available time, even an hour of cleaning can give your home a fresh look! 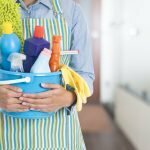 If you can’t really clean your home regularly, you can always browse for the best maid service in Houston, TX and hire a cleaning company. 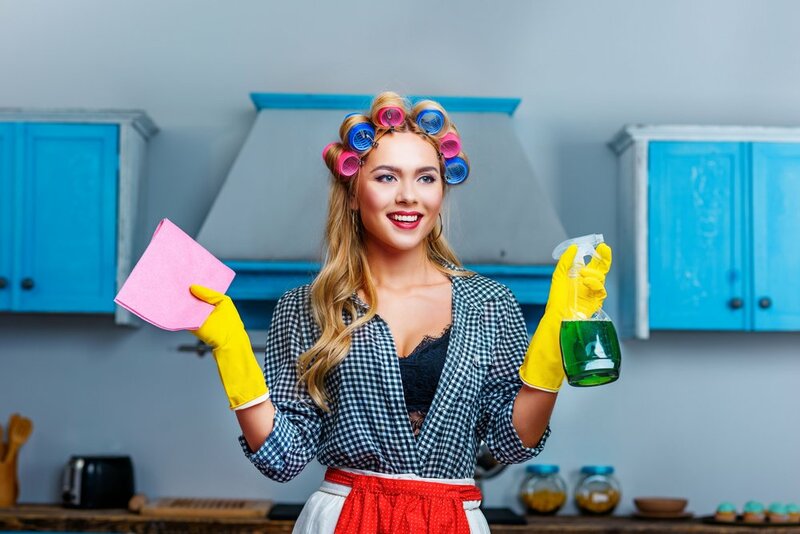 However, if you’re having an emergency and need to get your home in order quickly, for instance if guests are coming over or you want to throw a casual party, here’s how to clean house fast and easy. Remember that performing even the simplest tasks can make a difference! Where to start? Go room by room! You probably don’t know where to start, but there’s no need for panic! Instead of trying to clean all of your rooms at once, just go one by one. This will make your job much easier because you won’t have to go back and forth. Otherwise, you’ll get overwhelmed by the list of cleaning tasks that seems to be endless. When you start cleaning a room, make sure to put everything back to its place. This will make your space tidier and more organized, helping you get rid of clutter. You can grab a basket for all the things that don’t belong in a certain room. Also, bring a trash bag for everything you don’t need. Sometimes the easiest way to clean your home is to schedule it! If you create a cleaning schedule, you’ll get more organized and efficient. Pick one day when you’ll clean your space for an hour and make sure to stick to your routine! This will help you make cleaning your habit. You can also set a timer if you’re really on a tight schedule. Try to do as much as you can until your timer goes off. You’ll be motivated to clean your home as fast as you can because you know that you don’t have a lot of time to do it. Another great option is to play your favorite music playlist and clean until it’s over. You’ll be quick and have fun! Furniture is the most important item in every room, so tidying it up will have a positive impact on your entire space. For example, the moment you make your bed, your bedroom will seem cleaner and more open. You should also tidy up your sofas and armchairs, which may entail just arranging your cushions. Pay attention to your tables and desks – organizing them will also create a clutter-free atmosphere. You can make your surfaces sparkle in just a few simple wipes! Grab a damp cloth and start cleaning. This is a simple way to make your home fresher and cleaner. You can even add a few drops of your favorite essential oil and give your space a lovely scent! How to clean house fast and easy? Just get in touch with That’s Clean Maids! You don’t have to bother with cleaning because the professional cleaners we’ll match you with will do it for you! In just a few simple steps, you can book outstanding cleaning services and get a meticulously clean home in no time! The cleaners we work with provide a range of cleaning services that are bound to leave you breathless and your home spotless. All you need to do is tell us what you need and then relax and enjoy your free time! We’ll take care of everything to the last detail and provide you with complete satisfaction. Contact us and see what makes us and the cleaners we refer to you the very best in the business!